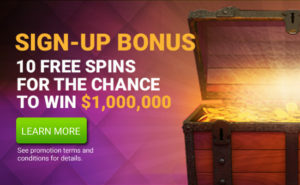 It’s bonus week here at CanPlayCasino.com! 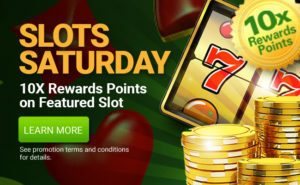 For example: A player depositing $100 using deposit code OctoberReload100 will receive a $100 Casino Bonus. Each promo code can only be used once per player during the promotion period. The promotion is valid October 27th to 31st, 2018. 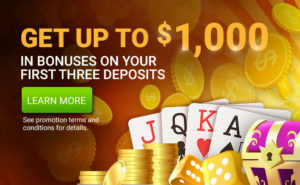 CanPlayCasino.com players will receive a 100% Match up to a $100 Bonus with code OctoberReload100. CanPlayCasino.com players will receive a 50% Match up to a $100 Bonus with code OctoberReload50. CanPlayCasino.com players will receive a 25% Match up to a $100 Bonus with code OctoberReload25. Each promo code can only be used once per player during the promotion. The promotion is valid October 27th to 31st 11:59 ET, 2018.